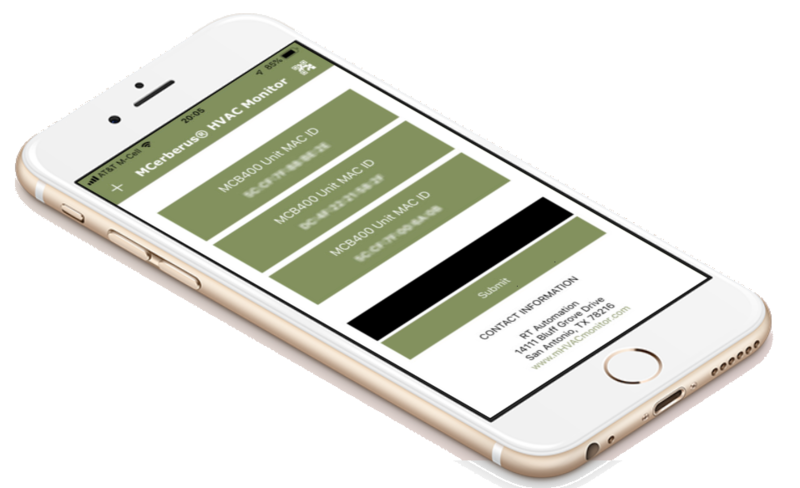 The MCerberus® HVAC Monitoring Application provides Daily Statistics regarding the state of their HVAC System being monitored by the MCB-400 HVAC Monitoring Hardware. The application provides Delta T, Daily Run Times, ON/OFF Cycle Summary, Cycle Run Time Summary, and the Overall Operating Summary for their unit. The application also provides the status (daily) of the water detection sensor if the unit installed included one. An iPhone version of the application is available at no charge and may be downloaded directly from the Apple Application Store. An Android version of the application may be downloaded directly from the Google Android Store.